The Rupes Mille Fine Yellow Foam Pad makes quick work of light to medium imperfections! This pad is made up of high-quality resin materials and a fine pore structure. This construction works hand in hand with the Rupes BigFoot Mille LK900E and the Rupes Mille Fine Compound to help you achieve amazing results, all with an incredible amount comfort during use. Not only will you be able to remove light to medium imperfections, but you will be left with a glossy, optically clear surface, ready to be topped with your favorite protection product. If you have heavier or lighter imperfections, check out the other Mille Pad and Polish combos below. The Rupes Mille Pads are designed nice and thin, with a tapered-edge design to maximize the unique gear-driven movement of the Mille LK900E. With the two different size pads (6.5" and 5.5") you will have pads that work with either the 5" or 6" Mille backing plates. The unique design of these pads helps increase defect removal and maintain optimal user comfort during the polishing process. 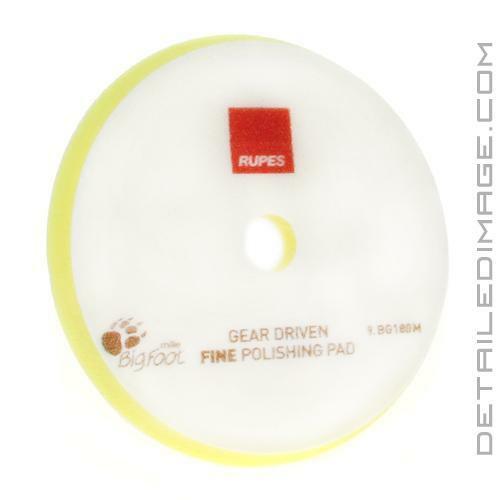 Gear driven polishers can also come across some steering and vibration issues, so Rupes designed these pads to take that into account. Everything from the pads, to the polisher, down to the polish, will work together to provide you with a smooth, high-end user experience. 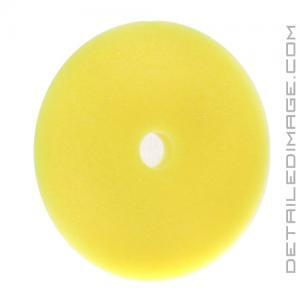 If you are looking to remove light to medium imperfections with your Mille LK900E polisher, the Mille Fine Yellow Foam Pad is a great addition to your Mille lineup! 6.5" Mille Pads - 6.5" Front, 6" Back. 5.5" Mille Pads - 5.5" Front, 5" Back. Coarse Blue Foam Pad & Coarse Compound - Removes heavy imperfections. 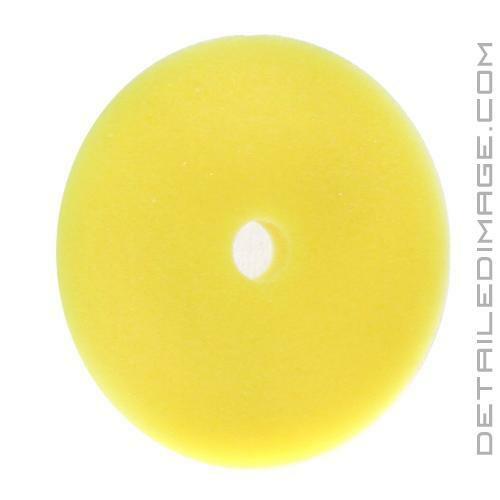 Fine Yellow Foam Pad & Fine Compound- Removes light to medium imperfections. Ultra Fine White Foam Pad & Ultra Fine Compound - Removes very light imperfections. 5" Backing Plate, perfect fit with the 5.5" Rupes Mille Foam Pads. 6" Backing Plate, perfect fit with the 6.5" Rupes Mille Foam Pads. Love these! Finished great on my soft black paint using the Mille Fine Polish and a Mille tool. Also used them with Angelwax Redemption, CarPro Reflect, and Sonax Perfect Finish with amazing results. I like them better than the thicker 15/21mm version of these pads, even on the 15MKII machine! Seems to have slightly less pad stall. Obviously perfect for the Mille. Go-to for polishing/finishing/or even 1 steps on some paints.